A few weeks ago, I grabbed a copy of Ultimate Campaign before an online store (that used to get most of my business) stopped selling RPGs (and now they don't get much of my business at all). That's besides the point, though. The important thing is that my first impressions of Ultimate Campaign were pretty positive, and now that I've had time to read through the whole thing, I can give it a real review. The four chapters of Ultimate Campaign each focus on one or more aspects of the Pathfinder roleplaying game that happen outside of the "typical" session. Character Background This chapter covers all kinds of background options, including tables for randomly generating various aspects of your background. It features tables that are race-specific as well, so differing cultures and lifespans are taken into account. I particularly like the fact that they incorporate options for characters who were raised by or among races other than their own. Downtime Although some of this chapter gives more information on various class-specific downtime activities (such as item crafting, finding a new animal companion, etc. ), the vast majority of this chapter is about player run organizations. Want to know the mechanical benefits of running a thieves guild? or keeping a sage on retainer? or owning the tavern the group visits when they return to town to resupply? You'll find it all here. Campaign Systems This "chapter" is really just a catch-all for all the subsystems of the game - alignment, companions, magic item creation, retraining, etc. It expands on all of these, and also adds some new ones, including contacts, honor, investment, reputation, and others. Kingdoms and War This chapter provides the rules necessary to found, expand, and manage your own kingdom... including rules for armies clashing with one another. I don't know that any of my campaigns will ever need this level of management, but just in case... Ultimate Campaign has it covered. I like the artwork in this book slightly less than the art I've found in other Pathfinder books. However, it is still high quality. In general, this book keeps up the high production standards of Paizo, which are higher than many similar RPG titles. There are some rules in this book that you can just pick up and insert in any campaign without a second thought. However, there are a few systems that are complicated enough that you'll probably have to read them two or three times before you "get it." I'm a huge fan of the downtime systems in Chapter 2, but there are a few parts that just weren't intuitive. Several times I had one of those, "Wait, what?" moments while reading and had to go back and reread. This book has the typical price tag for a hardback Pathfinder supplement, which is slightly more expensive than I would like. However, used copies are pretty easy to find online, and the pdf deal on Paizo.com is pretty sweet as well. 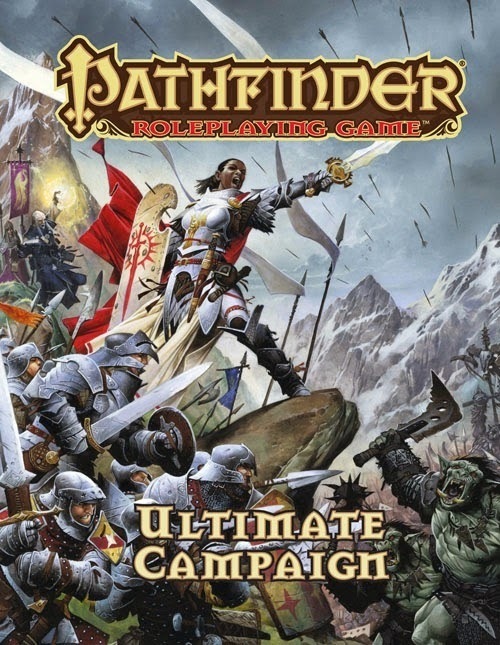 Even better, much of the information in Ultimate Campaign can be found in the Pathfinder Reference Document for free. If your players are only in it for the dungeon crawl, this book will sit on your shelf and gather dust. However, if your players are interested in making their characters fixtures of the campaign setting, this book is invaluable. Whether by weaving the setting into their character's story or by redefining the geopolitical boundaries of the setting itself, Ultimate Campaign gives a lot of options. 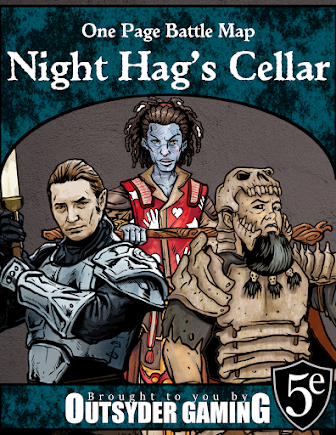 If you prefer a straight dungeon crawl to a sprawling multifaceted campaign, you probably won't find much value here. However, I'm going to go out on a limb and say that if you were interested enough to read this far, you'll be delighted with the options in this supplement. If you're looking for guidelines and rules for all the things that happen outside the dungeon itself, this book is an incredible buy. If you have the spare cash, pick it up. If you don't have the spare cash, start saving.